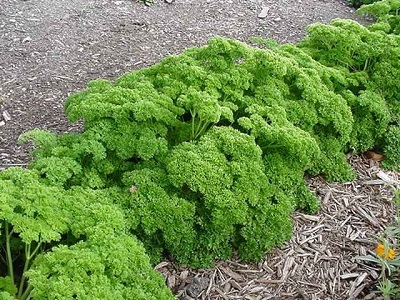 Essential oil makes up 0.2-0.75% of parsley’s roots. The oil mainly consists of terpinolene, β-pinene, and phenylpropanoids apiol and myristicin. Apiin makes up 0.2-1.6% of the roots and is from a large subset of phenolic compounds known as flavonoids. Apiin is a glycosidic form of apigenin, which has been shown to help prevent chemoresistance. Phthalides include ligustilide, senkyunolide, and butylphthalide as well as polylines such as falcarinol and falcindirol are also in the roots. During pregnancy the fluid extract is contraindicated due to the emmenagogue (abortifacient) action and it was used in the past as such.